If you can’t be in Germany, celebrating Oktoberfest at Carolina Brewery is an excellent alternative. The race also has a nice easy start time of 10:30 AM. 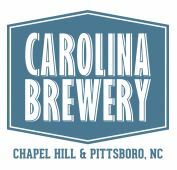 6th Annual Carolina Brewery Oktoberfest 5k to be held on Saturday October 10th at Mary Hayes Barber Holmes Park in the Powell Place neighborhood, directly across 15-501 from the Carolina Brewery & Grill in Pittsboro. Registration begins at 9:30 AM on race day at Mary Hayes Barber Holmes Park; start time is 10:30 AM. A free Kids Fun Run will follow afterwards. All participants receive free admission to our Oktoberfest party that afternoon beginning at 12:00 PM. The celebration will feature live music, grilled bratwurst, kids activities, and of course, Oktoberfest beer! The Susan G. Komen Foundation will receive a portion of race proceeds. Fleet Feet of Carrboro is our partner for the race. Stay tuned for more details!